One Kings Lane President Debbie Propst walks the walk. 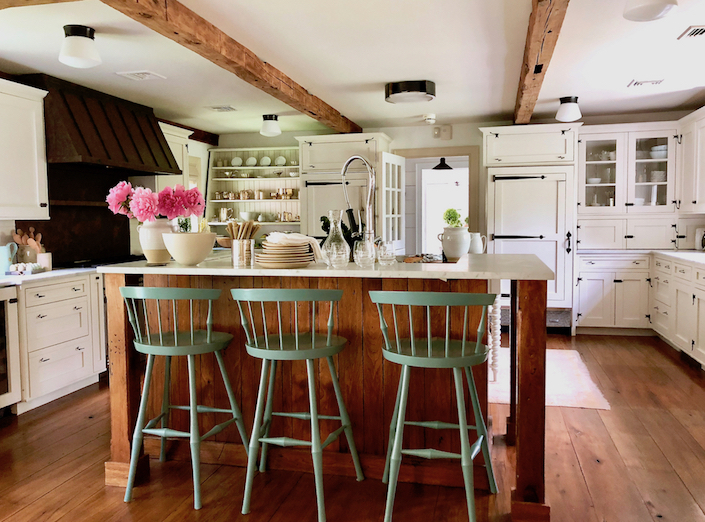 During the day she works to make OKL a desired design destination for bringing unique style home and at her bucolic country house in Connecticut, she has done exactly that, working with The Studio, the design services team at One Kings Lane, who helped update her house to reflect her own personal style. 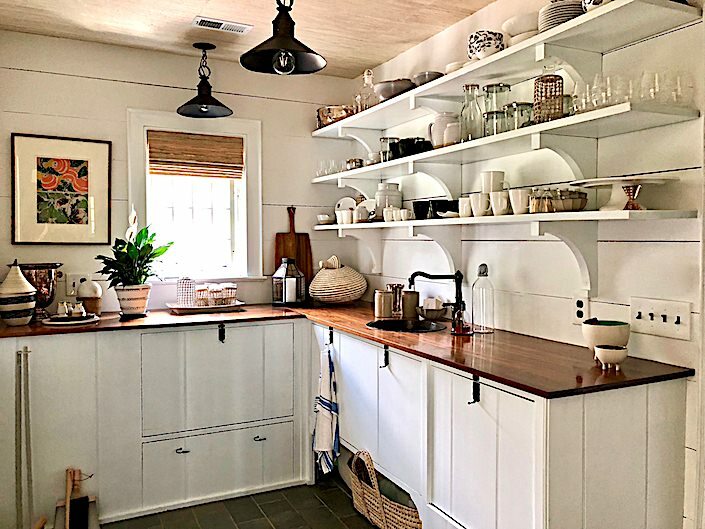 Mixing vintage picks with selections from the enormous offerings at One Kings Lane, she proves that the practical needs of a young family and stylish living aren’t mutually exclusive. Tag along with Susanna Salk and me for a behind the scenes visit with Debbie at her welcoming country home. 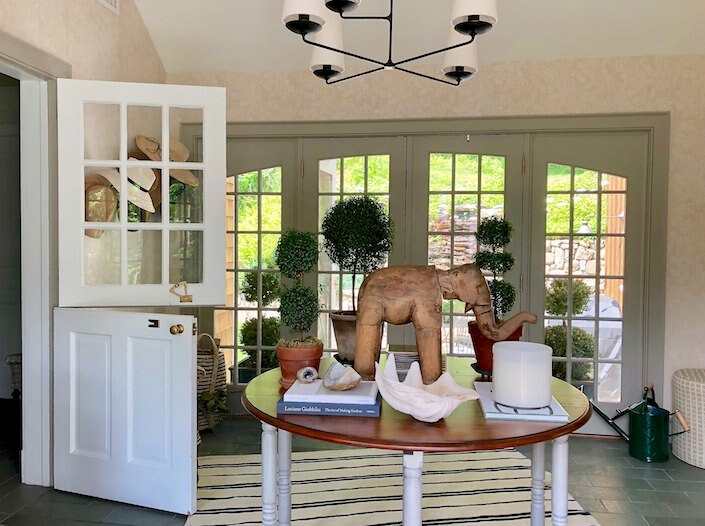 Raised in Europe, Debbie chose pieces that reflect both her heritage and her new New England home with comfort, character and contemporary convenience. 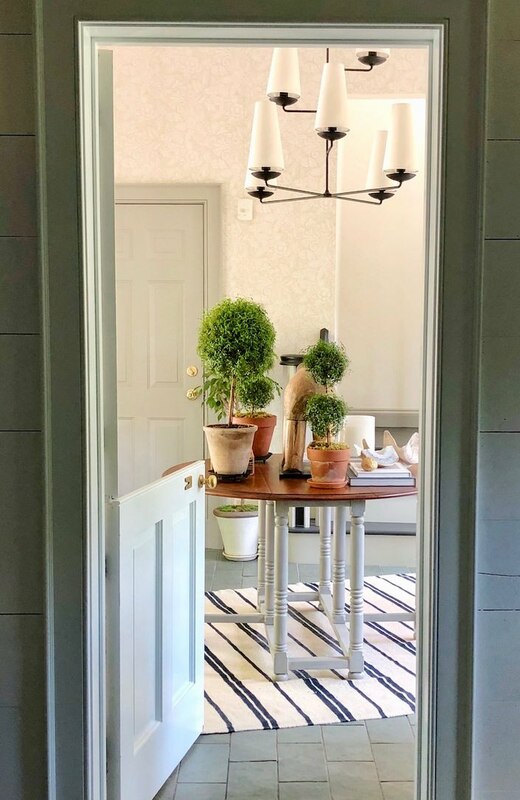 With a fresh take on tradition, Debbie and the One Kings Lane Studio team expanded on a modern farmhouse vibe. everything is served up with personal style and a sly sense of humor. And while One Kings Lane has always had a strong digital presence, they’re now expanding into bricks and mortar. The Southampton shop, which started as a pop-up, has transitioned into a full-time location, with great events (talks, book signings, trunk shows etc) alongside the expertly merchandised offerings. And this fall they’ll be expanding with a flagship store in New York City. In a 200 year old house at 143 Spring Street in Soho, the shop will feature an assortment of merchandise appropriate for the location, a mix of styles and price points including vintage, antiques and handmade art, and their signature professional designer services. 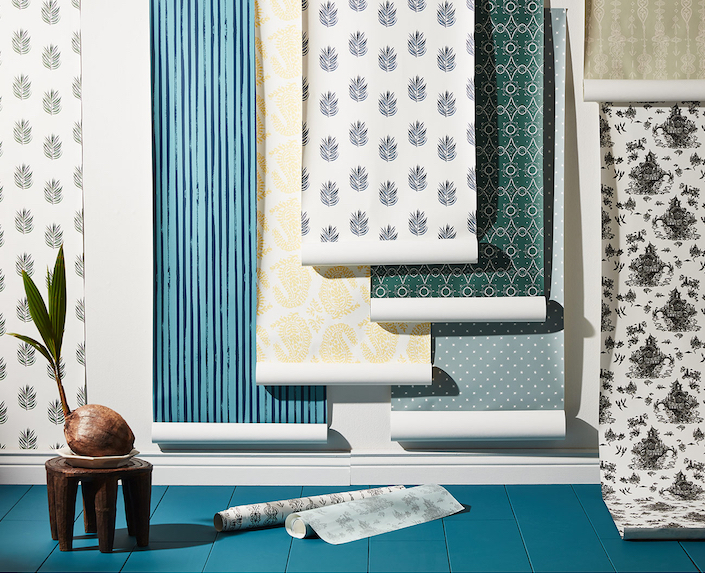 On the digital side, the site continues with special features including the brand new One Kings Lane Paint Collection and Wallpaper Collection, above of seven exclusive patterns in a range of colors. 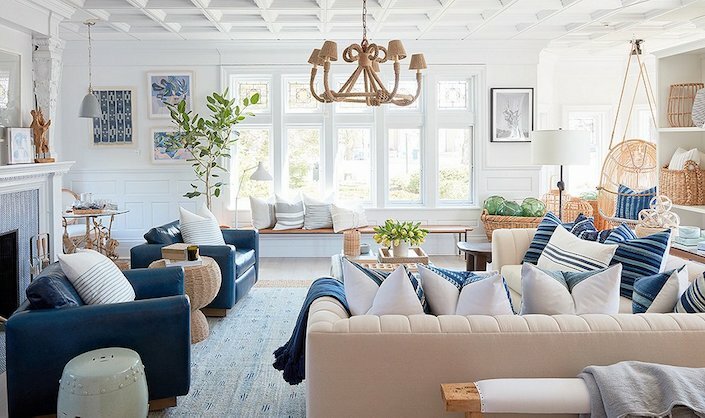 And for those in the trade, One Kings Lane is continuing to grow their To the Trade program with a team dedicated to helping designers track down items, match specs, answer product questions, and even source one-of-a-kind vintage pieces! So thank you Debbie for opening your beautiful home to us. And we are thrilled to have One Kings Lane as our sponsor, with such a comprehensive selection for making the home an expression of personal style! This entry posted in At Home with, interior design, Quintessence video series, Stylish Shopping, video. Entry Tags: At Home with, home tour, interior design, One Kings Lane, Video Bookmark the permalink. And I did not see one “can light” in the whole house! Bravo! I think those dreadful things spoil so many wonderful old houses. The ceilings look like Swiss cheese! Pox on them! Omg! I just lucked on this YouTube video yesterday. I loved it and have been binge watching all I can since then. I am so loving these. Thank you for coming up with the idea of taking us behind these scenes of these lovely people and their beautiful homes. Thank you so much!! And so glad you have found our channel and enjoy!! Just worked out a way to get your blogs on my stupid computer. Mad for this kitchen. I could move right in. I have really missed your wonderful offerings. Debbie did a really nice job of quickly explaining each room and what she did to design it for her family. I have been member of OKL since the beginning and enjoyed watching this next leader of the company! OMG, I love this kitchen. This video explained very clearly about each room and decor and also the idea of those designs. Very lovely! Nice sharing girls! I’m gonna have a kitchen like that! Certainly, it has been altering the way we live. 86 queries in 0.642 seconds.